Fill out the form below to be contacted directly. When it comes to financial service providers, you have plenty of choices. But while others see money as a goal, we see it as a tool  for serving God, your family and your community. Our unique approach blends faith, finances and generosity. No matter how much money you have, we offer products, tools and personalized financial guidance to help you feel comfortable and confident with your finances. Thrivent Financial can work with you to create a wise financial strategy that reflects your values and changes as your life does. Your goals. Your values. Our guidance. Discover why millions of Christians count on Thrivent's financial products and solutions to help them be wise with money and live generously. 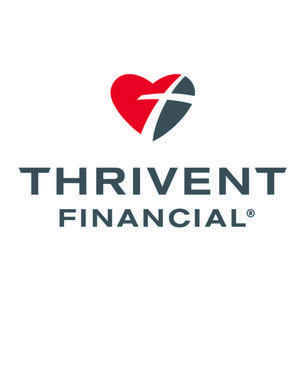 Let Thrivent Financial help you connect your faith, finances & generosity. As life events trigger different needs and your financial priorities shift, insurance can help bring you a sense of relief knowing your loved ones will be OK. Protect your assets, plan for retirement and provide for future generations. Different insurance options can help you plan for every season of life. Annuities can help guarantee2 you'll have retirement income that you can't outlive. Thrivent offers immediate and deferred annuities with fixed or variable returns that are designed to help create an income stream in retirement – when and how you need it. Start saving for retirement – or supplement what you've already saved – with an IRA. Whether you choose a traditional IRA or a Roth IRA, your earnings have tax-deferred growth potential. Whatever your financial goals, we have investment options that can help put you on track toward reaching them – including mutual funds, interval funds, and managed accounts. Thrivent can help you build a diversified portfolio based on your personal financial goals and investment preferences. Life insurance (term & perm): Life insurance can help you preserve your assets, giving you peace of mind that your legacy will be passed on according to your wishes. Disability income insurance: When an illness or injury prevents you from working, disability income insurance can help you keep up with your financial obligations. Long-term care insurance: In the event you need extended care, long-term care insurance can help ease the emotional, physical and financial impact on you and your family. Making a plan now can provide reassurance down the road. Medicare supplement insurance:1 Once you hit 65, Medicare will likely be your primary source of health expense coverage. But it doesn't pay for everything. Medicare supplement insurance can help fill the gaps. Immediate annuities: Turn a lump sum of money – like your savings, inheritance or investments – into future periodic payments that start right away and can help make your income last your entire life. Deferred annuities: Set aside money today so you can receive guaranteed income later in life, like in retirement. The money you contribute will grow tax-deferred until you're ready to take distributions. Fixed annuities: If your risk tolerance level is on the lower end, then fixed annuities may be a good choice for your retirement income needs. They're not affected by market ups and downs and guarantee a minimum interest rate. Variable annuities: Unlike fixed annuities, variable annuities can fluctuate over time depending on the performance of the subaccounts you choose. This means they may keep up with inflation or even out pace it, but they're also riskier and could lose principal. Traditional IRAs: When you put money in a traditional IRA, your contributions may be tax-deductible, plus any growth in your account is tax-deferred.4 You can access your money for any reason, including to purchase a new home or pay for educational expenses.5 It's important to note that you must begin taking distributions from a traditional IRA once you reach age 70½. Roth IRAs: With a Roth IRA, the money you put into your account is after-tax dollars. And because you've already paid taxes on the money you've put in, you won't have to worry about taxes when you withdraw it.6 Plus, unlike a traditional IRA, there is no age restriction on making contributions to a Roth IRA. Another perk to Roth IRAs is that you're not required to take distributions during your lifetime. Mutual funds: Whether you're just getting started with investing or are ready to enter retirement, Thrivent Mutual Funds provides investors with a wide array of simple choices for every stage of life. Thrivent Mutual Funds offers a wide variety of funds that can help you diversify your portfolio according to your overall investment goals and comfort with market risk. Managed accounts: Enjoy professional investment advice, personalized service and support through our managed accounts program. It offers a variety of investment solutions that can align with your goals, objectives and financial situation. Choose from programs that allow your financial representative, Thrivent or a third-party investment manager to select and manage the investments in your account. Your financial representative will help you choose an appropriate investment strategy and periodically review your accounts in the program. Licensing is available through your State Insurance Department's website, which can be located through the National Association of Insurance Commissioners website. Annuities are intended to be long term, particularly for retirement. Product availability and features may vary by state. Withdrawals and surrenders will decrease the value of your annuity and, subsequently, the income you receive. Any withdrawals in excess of 10% may be subject to a surrender charge. The taxable portion of each annuity distribution is subject to income taxation. If a taxpayer is younger than 59½ at the time of distribution, a 10% federal tax penalty will apply to the taxable portion of the distribution unless a penalty-tax exception applies. 1 Thrivent Financial is not connected with or endorsed by the U.S. government or the federal Medicare program. Not available in all states. 2 Guarantees are backed by the financial strength and claims-paying ability of Thrivent Financial. 3 There may be benefits to leaving your account in your employer plan, if allowed. You will continue to benefit from tax deferral, there may be investment options unique to your plan, there is a possibility for loans, and distributions are penalty-free if you terminate service at age 55 or older. 4 Income thresholds apply if you or your spouse participates in an employer sponsored retirement plan. 5 Taxes and early withdrawal penalties may apply unless the distribution meets a penalty exception. 6 After-tax contributions are withdrawn tax-free, no penalty applies. Conversions withdrawn within the first five years are subject to the 10% penalty unless the distribution meets one of the penalty exceptions.